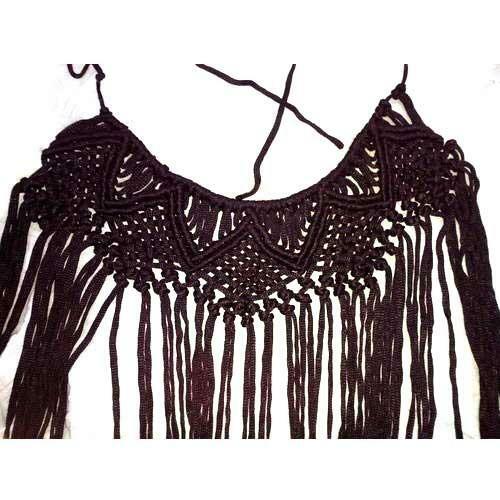 We are instrumental in offering an assorted gamut of Pattern Crochet Necklace. This necklace is designed using premium quality fabric material in conformity with international quality standards. In order to ensure quality, our offered necklace is stringently monitored on various parameters. The offered necklace is available in different colors, designs and finishes as per the needs of the clients' and can be availed in large quantities at a pocket friendly price rate.